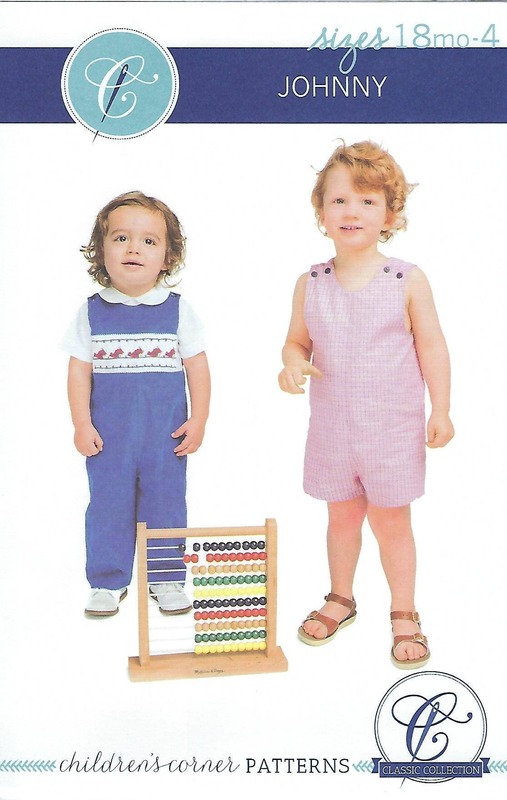 JOHNNY is the perfect button-on-the-shoulder romper that can be made unsmocked or with a smocked insert. 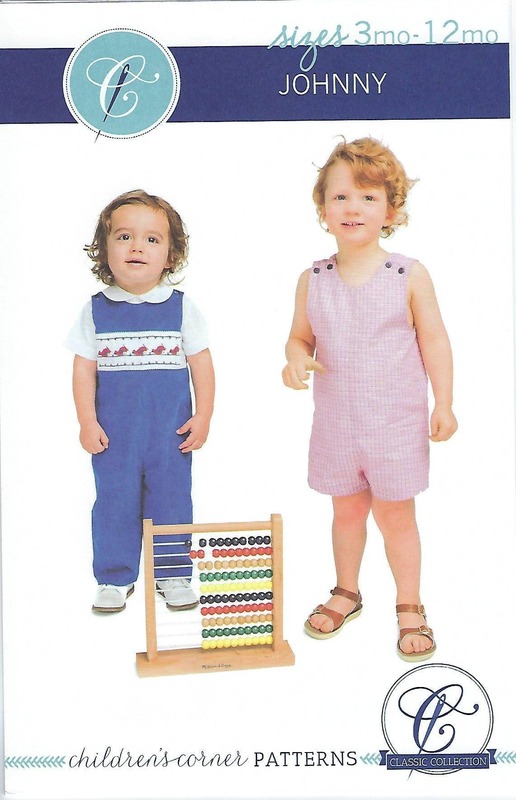 The romper can be made with short or long pants and instructions include optional finishing of the crotch with snaps. 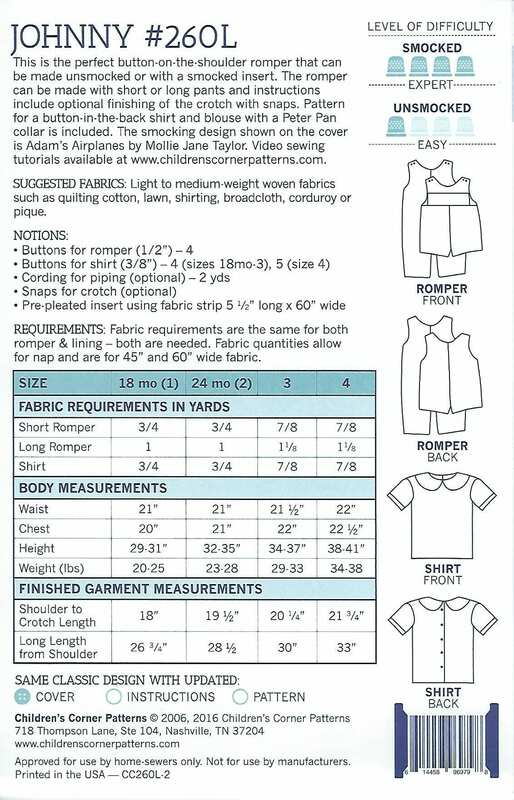 Pattern for a button-in-the-back shirt and blouse with a Peter Pan collar is included. 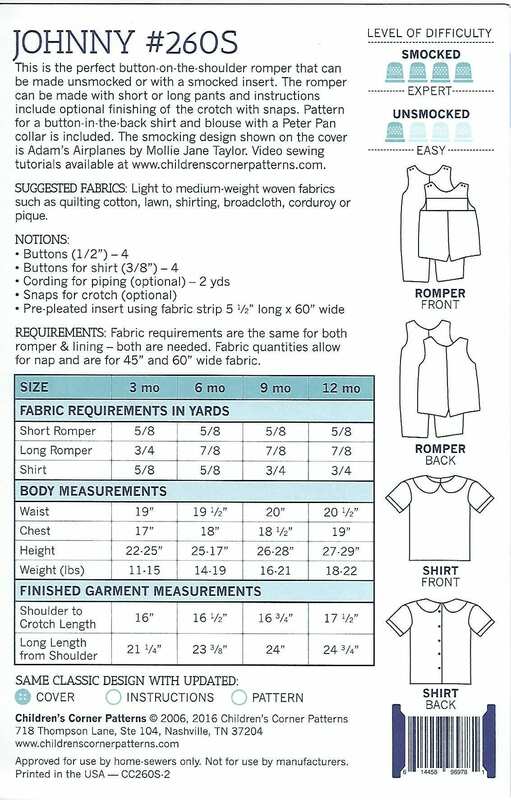 The smocking design shown on the cover is Adam's Airplanes by Mollie Jane Taylor. Excellent service! Will shop here again. Thank you!